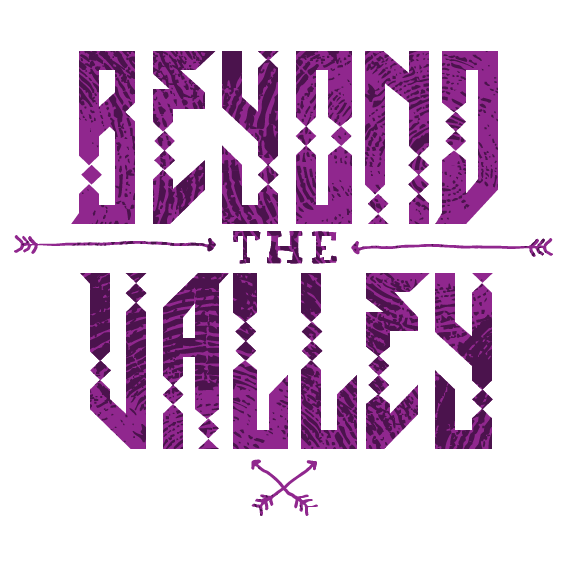 There’s more to the Beyond the Valley logo than you may think. I tried a heap of concepts for the Beyond the Valley logo – three rounds of creative with multiple designs, is not normal procedure. But the brand and style of this festival had to be spot on. 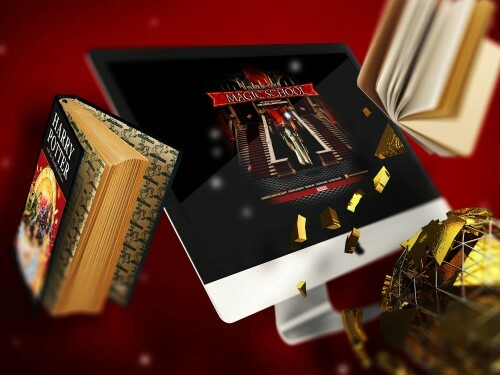 All of the designs were created in conjunction with various flyer concepts (as in, the big feather piece etc). 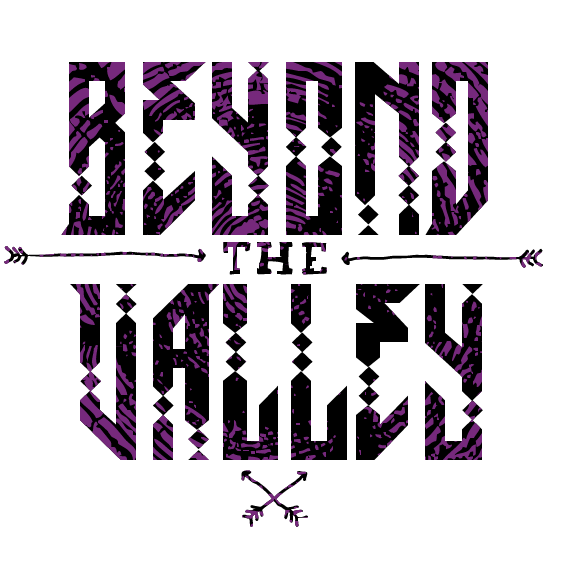 This is the final approved Beyond the Valley logo. For various reasons, the primary logo needed to be created in four visual types – full colour, full colour reverse, black & white, and black & white reverse. 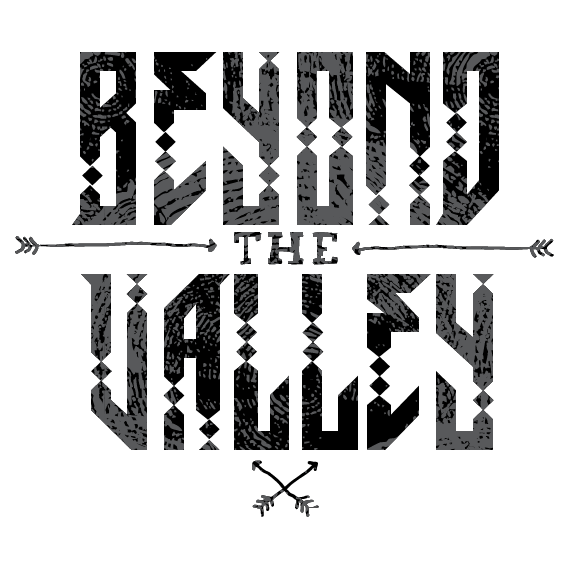 These Beyond the Valley logo variants are used across various media to ensure that the BTV branding is always given prominence in the instance where the primary logo clashes with other objects (eg. 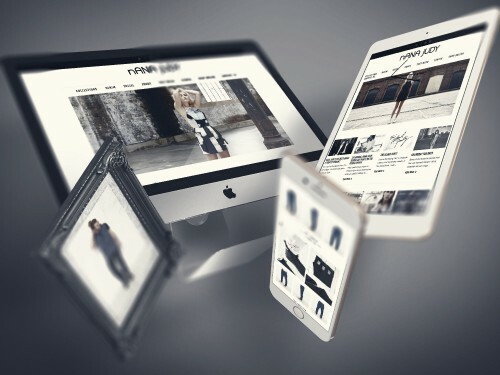 backgrounds) or for use on mediums like the website, whereby having a horizontal logo makes more sense than a round logo. First presentation of the name ‘Beyond the Valley’ mocked up in various forms and logotypes. February 2014 – There was no initial design brief or style and direction set. At this stage, the festival was very much just a concept. When I was asked to concept names with my good friend Matt Giles, we only had one bit of info – that the boys wanted to use the word ‘Valley’. ‘Beyond the Valley’ had it’s name inspired by the movie ‘A Place Beyond the Pines’ (‘Pines Music Festival’ being another name I suggested for the festival). When thinking of concepts and various names, I mostly had ‘A Land Before Time’ stuck in my head as the main title inspiration. The whole concept of ‘A Land Before Time’ sounds magical and mysterious. This thought somehow turned in to ‘A Place Beyond the Pines’ (they sound similar), and eventually ‘Beyond the Valley’. 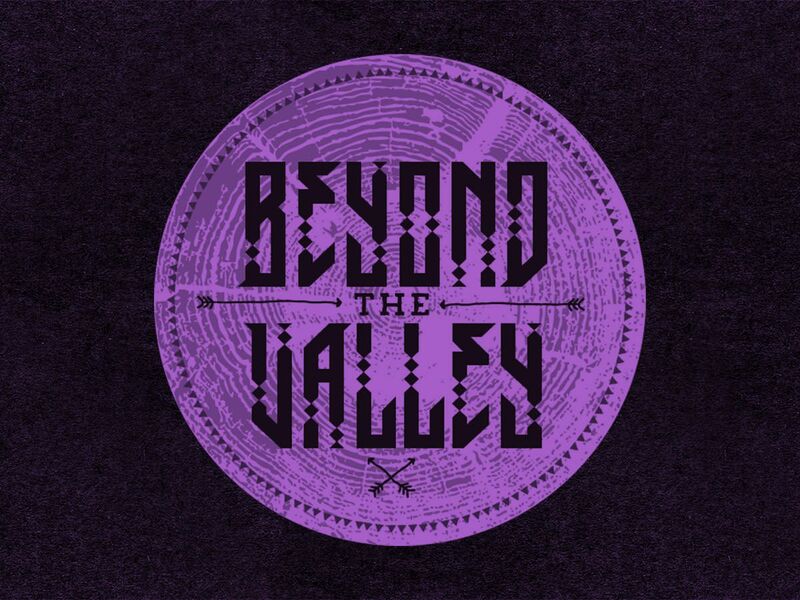 Second round of design concepts for the Beyond the Valley Logo. April 2014 – After settling on the name ‘Beyond the Valley’ and getting the go ahead on a budget and location, Beyond the Valley was in full swing – and after two weeks of concepts and design mockups, we finally had a logo to use across all collateral. 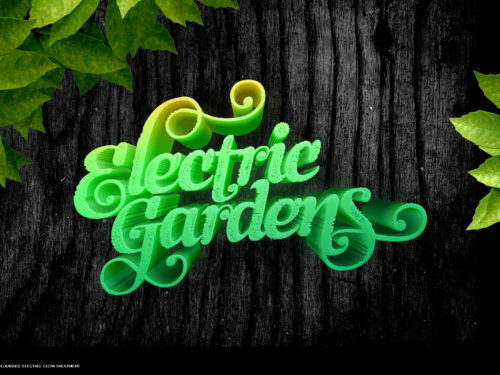 The designs for these logos where done in conjunction with the brand elements and flyer design – view the design concepts here.